Dynamo was given the opportunity to help Swiss startup Koubachi launch its award winning WiFi plant sensor. Focusing on the English speaking market, Dynamo was to take the two-pronged approach of driving downloads for the Koubachi app as well as sales of the WiFi plant sensor globally. Dynamo was able to develop a plan that allowed Koubachi to reach various markets and introduce Koubachi to the design arena, the gardening community as well as the tech industry in order to become known as one of the first pieces of technology in its field. In May 2012 Dynamo targeted key publications in order to create a buzz surrounding Koubachi and drive sales. Having been covered by Fast.Co and Co.Design, Koubachi was then put onto Flipboard which can boast figures in excess of 8 million users. 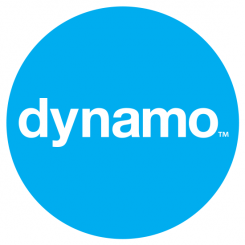 Building on this campaign throughout 2012, Dynamo has opened Koubachi up to markets around the world that it was unable to reach previously, including introductions to big name resellers in the US and the UK. Between May and June 2012 over 176 articles appeared in key tier one media, including Fast Company, The Daily Mail (both online and in print), BBC, and The Telegraph delivering significant and measurable sales and downloads. Our client called us at one point even asking us to slow down as their servers were struggling to manage the visitor numbers! A good problem to have. Koubachi continued to hit the headlines throughout tech, design and gardening press having interviews with Reuters, Guardian coverage, and giving Koubachi the type of exposure that has had resellers approaching them, instead of the other way around. In total Koubachi gained over 2,100 mentions in a small space of time, contributing to its improved sales and download numbers.